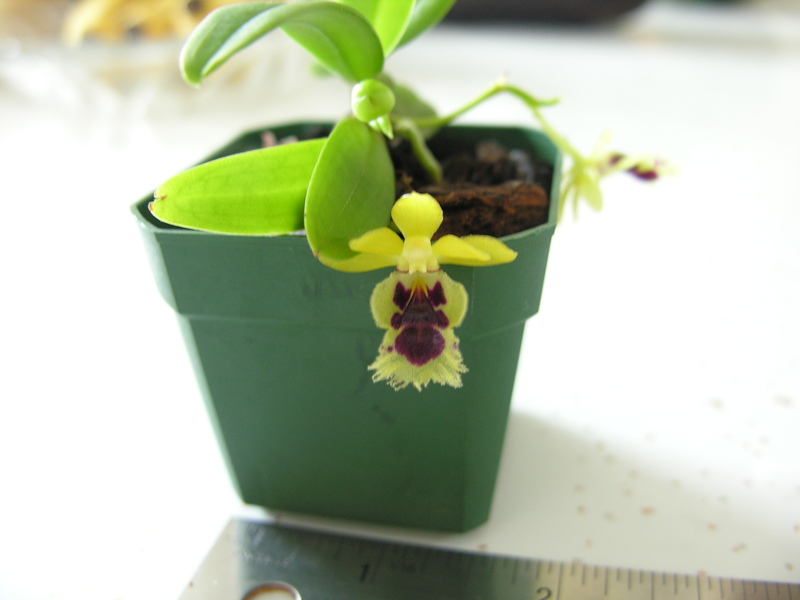 In my quest to understand and grow different orchid cultivars, I bought a haraella retrocalla at an Ocean State Orchid Society meeting and auction last spring. 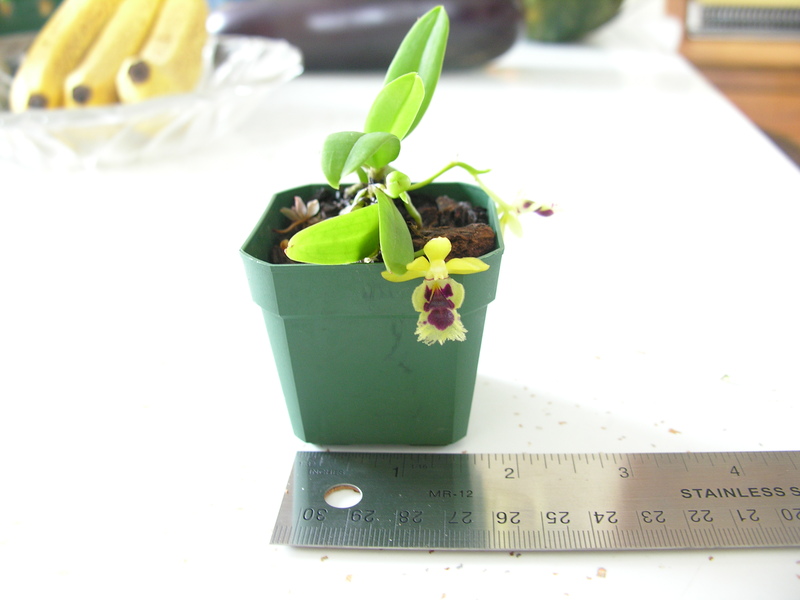 This orchid is tiny, and will stay that way. The only member of the genus Haraella, it grows in the trees of Taiwan’s ancient forests –what’s left of them – at elevations of up to nearly 5,000 feet. It needs plenty of humidity, but good air circulation, too. I grow mine in an open glass bowl. It rests on a bed of glass “pebbles” and I water it once a week – more often when it’s hot. 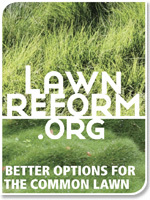 It also gets regular doses of Superthrive, alternating with orchid fertilizer. This orchid blooms in early fall and winter, and mine is in bloom for the first time now. The lemony scent from the tiny flowers is surprisingly strong, but there’s another more devious side to this plant: on each yellow flower, there’s a dark purple facsimile of a female beetle. In the wild, the male beetle sees it, smells the heady scent, and dives in. In his attempt to mate with the fake female, he becomes coated with orchid pollen, which he takes with him when he flies disgustedly away. This is a fascinating little plant to grow, and from what I have read, it is a reliable bloomer. The tricky thing is to maintain the humidity without over-watering and tempting root rot. It is supposed to prefer growing in slatted baskets, but mine is doing fine in the little pot it came in. Sounds like you all are going to have some interesting voting to do in RI on Tuesday! I love my little haraella. It is so undemanding and the flowers are cool. As for the election, don’t get me started! You have made me want this lovely plant…will have to go shopping. Don’t forget to vote……at least we will have something to say. have a great day and keep the articles coming…. I do love it, but I am pretty sure you’d have top order it from an orchid grower. Mine was grown by Oak Hill Gardens and I know they still list it in their catalog.